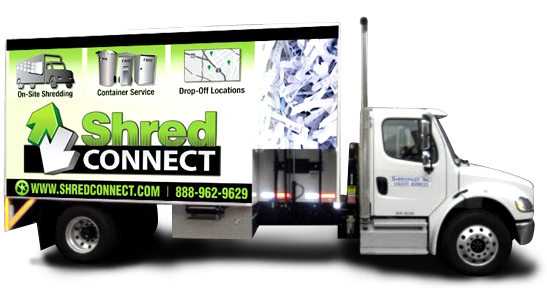 Shred Connect is ready to provide Lake Forest shredding services to individuals and businesses throughout Lake Forest The need for these services has never been greater, and we provide our services with professionalism and discretion. With our convenient brick and mortar locations complemented by our mobile shredding units, we look forward to helping customers with document destruction on any scale. Why is the need for our shredding services so great? For individuals, identity theft can ruin a person’s financial life. It’s typically not something that people worry about until it’s too late. Many of those who have never been victims of identity theft mock those who make a point of destroying all of their sensitive documents. They view them as paranoid and speculate about the odds that any given person could become a victim. Only after it’s too late do many of these people really understand the necessity of it. Thieves can empty their accounts, open new ones, and engage in other financially destructive behavior before the victim realizes that anything is wrong. It’s only when the victim goes to buy a house, access their bank accounts, or applies for a credit card that he/she realizes there’s a problem, and by then there’s not much they can do about it. Identity theft can happen to anyone, but those who take steps to ensure that their documents which contain sensitive information are disposed of properly can significantly reduce the likelihood that they will become victims. Much like locking your front door at night, destroying your documents makes it considerably more difficult for would-be criminals to ply their trade. In most cases, they will simply move on to an easier mark. Another example of why an individual would use our shredding services is a simple desire for privacy. Your business is just that, but snooping neighbors and relatives often come across information that you want them to see. This could be anything from letters to medical and legal records. Obviously, there will be times when you need to keep these around the house, but keeping them beyond their usefulness means that other people could find them, creating potentially embarrassing and awkward situations. Making use of our shredding services prevents you from having to deal with these types of situations. 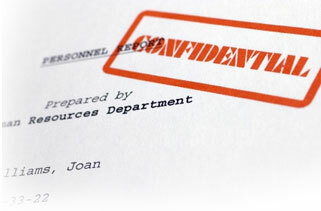 Businesses in Lake Forest can have an even greater need for our document shredding services. They are not responsible only for keeping their own information secure, but also they are entrusted with the information of their clients. This can include anything from credit card numbers and birth dates to buying histories and personal habits. When clients provide this information to businesses, they are trusting that the businesses will protect the information and not allow it to be stolen or compromised. Failure to live up to this responsibility can at the very least cost business customers. At worst it can result in civil or criminal charges against managers and owners, ultimately shutting down the business completely. Using our Lake Forest Shredding Services can ensure that information with which your business was entrusted can’t be lost or stolen once it is no longer needed. Another concern for businesses is the potential for proprietary information about their products, processes, strategies, and other important aspects of their business could be discovered by ambitious reporters or the competition. Knowledge is power, and having information about your business get into the media or the hands of your competition can be devastating. Trade secrets can be lost. Information about how you provide your products and services can easily give your competition a decided advantage, as they could quickly close gaps in the areas where your business has an advantage and exploit any weaknesses that your company may have. This also opens up the possibility that people could present your business with frivolous lawsuits that could eat into your capital. How could people access this information? There are several possibilities, but the biggest two would be hiring someone to look through your trash – something that is not above some business owners – and finding a disgruntled employee willing to share it with them. Although the latter is difficult to defend against, ensuring that papers aren’t left around the office beyond the need for them limits how much information such an individual could provide to an outsider. To help those in Lake Forest shredding services avoid these kinds of problems, Shred Connect offers storefront and mobile shredding services. Those who have smaller needs can bring their documents into our store and have them destroyed quickly and easily. Anyone requiring document destruction on a larger scale can schedule an appointment to have one of our mobile units come to your facility and take care of the destruction on site. With two easy options to avoid the serious problems that can result from having documents compromised, why not give our Lake ForestShredding Services a try?